Bangkok Chefs Charity, a renowned annual event in Thailand, was held in the Mandarin Oriental’s Royal Ballroom organized by Gourmet One Food Service (Thailand) Co., Ltd. on June 29th. There were twenty of the city’s top executive chefs from 5 star hotels participating in this prestigious gastronomic event to create delicacies for charity. 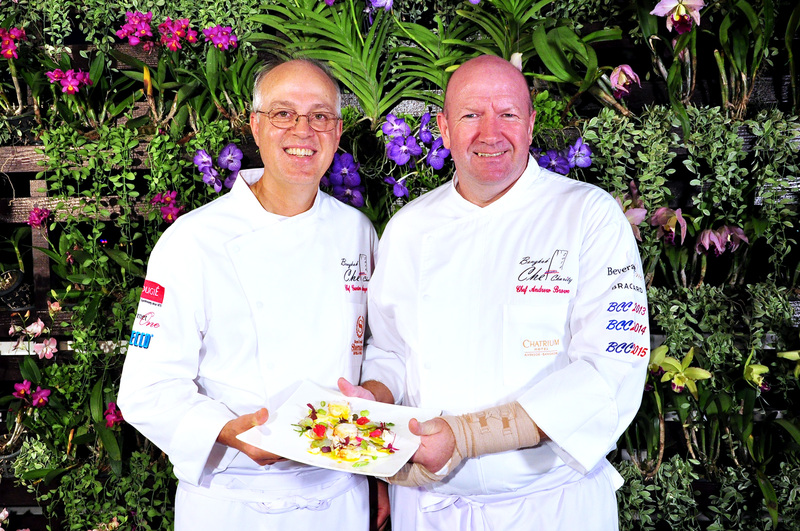 Chef Andrew Brown, Executive Chef of Chatrium Hotel Riverside Bangkok, was one of the chefs who joined this event and created the Vanilla-Poached Lobster with Spring Salad and Apple Jaqueline Sauce dish along with Chef Gunter Angermann of the Royal Orchid Sheraton Hotel & Towers. 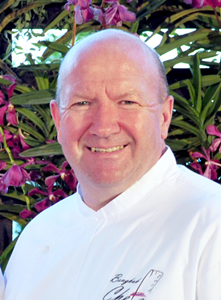 “Chef Gunter is a lovely guy and it was a pleasure to work with him. Once again, I had a great opportunity to work with a bunch of talented chefs, who aimed for the one goal of raising money for disadvantaged children. It did not take much for the dish to excel, a little care with cooking and the natural flavours just shine through with a few touches to accentuate the lobster. Just a hint of vanilla added to the sweetness of the lobster and really enhanced the dish, which was very light and refreshing with the flavours complementing each other so well and leaving the diner with a clean palate ready for the next course” Chef Andrew Brown said about his chef partner and their dish. The inspiration for the dish, was the ingredient itself, once we were told what our main ingredient was, we wanted to create a dish that let the main component shine. When molecular gastronomy first came on the scene, there was a lot of experimenting with it, changing the structure and even the flavours of food, probably a bit over the top. 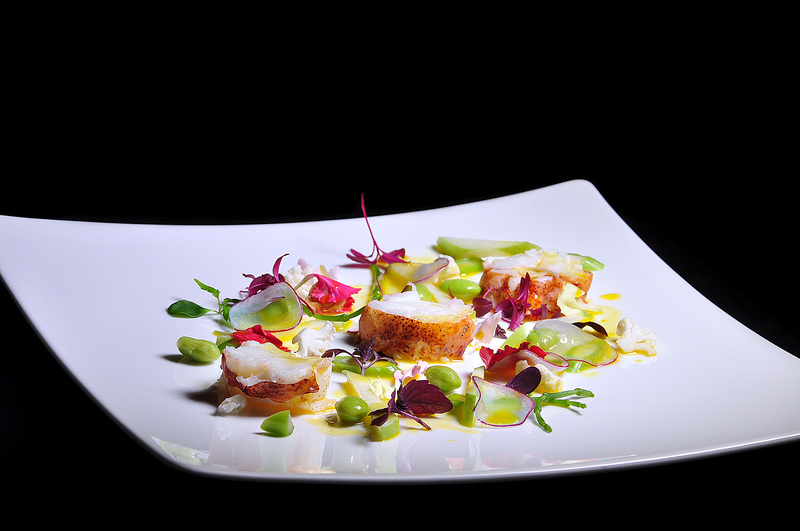 Things have settled down now, and while there is a place for molecular cuisine, food now seems to be moving back to the flavours and ingredients being the main focus of the dish. Chefs are doing little with ingredients; just letting them shine through naturally. This year was more special than usual as Her Royal Highness Princess Maha Chakri Sirindhorn, presided over the event, celebrating the year of her 60th birthday. In commemoration, some of the dishes were infused with purple elements, and the venue was decorated with purple, too. 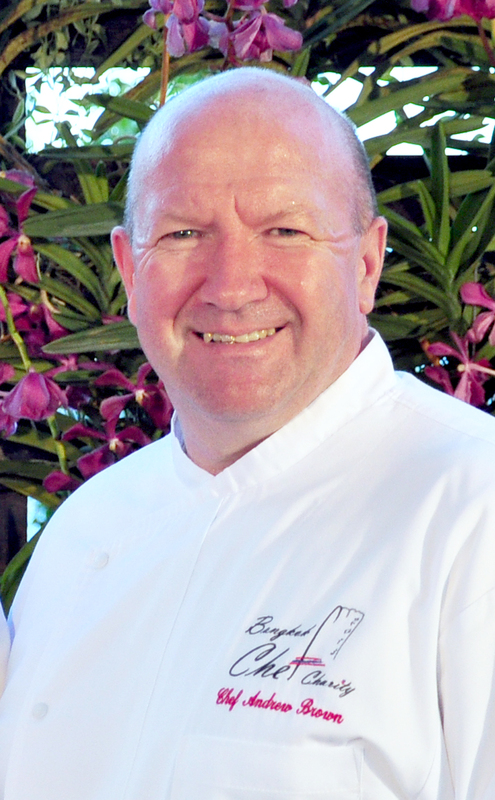 A ‘Grand Auction’ is held every year in which the highest bidder will get all or any number of the event’s chefs to cook a meal at the venue of their choice and will be invited to present their donation cheque to Her Royal Highness Princess Maha Chakri Sirindhorn on a date following the gala. For this year the sum raised was THB 12,200,000 bringing the total amount raised to over THB 74,000,000 since the event began in 2009. The money raised will go to Border Patrol Police Stations and for improving the lives and education of underprivileged children in Chiang Mai’s Omkoy district.